Thank you! For your interest in Kickadee Hill Saanens. 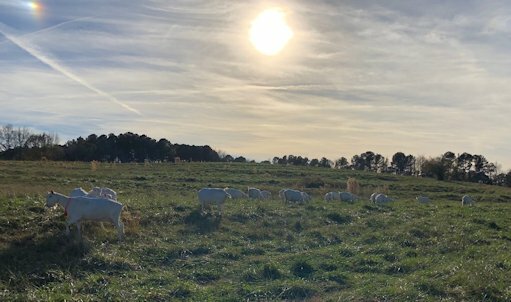 2019 marks 36 years of breeding dairy goats for us. We’ve owned 41 Permanent Champions in our goat lifetime. 24 of them were goats that we raised and showed ourselves while 17 were goats that we sold as kids and other people raised, showed and earned their championships. We’ve been to the National Show three times, and placed in the top ten in nearly all of our classes. “Kickadee” is a word we created to describe the gleeful way a goat will run and jump into the air, tossing her head, and kicking all four legs in the air at once. 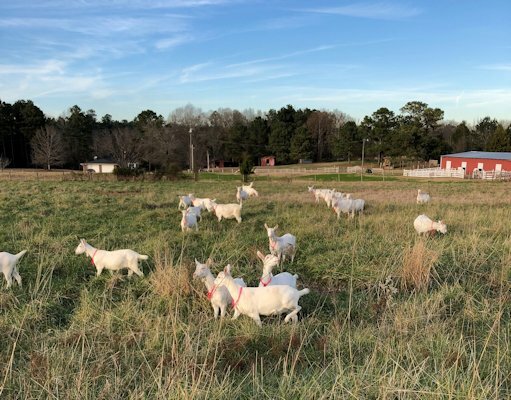 When it came time to select a herd name, we decided that wherever our goat adventure took us, we’d like our goats to always be happy enough to go “kickadee down the hill”. In our early years, we had a raw milk license, fudge making permit, and farm store, freshening 35 does annually. These days we keep a small elite herd. 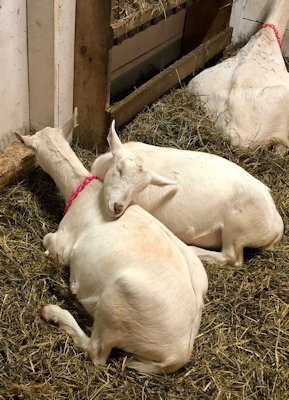 All of our goats have deep pedigrees full of excellence on both sides of their pedigrees. Our pedigrees are bursting with Permanent Champions, 90+ appraisal scores, National Champions and Premier Sires. After many years of living with goats, we’ve developed the style of goat that pleases us. We want low maintenance goats who are capable of living long, productive lives, so we breed for structural soundness and correctness. We want easy keepers, so we breed for substance and power. We want a year round milk supply to provide our home with milk and cheese, so we breed for long, level lactations. 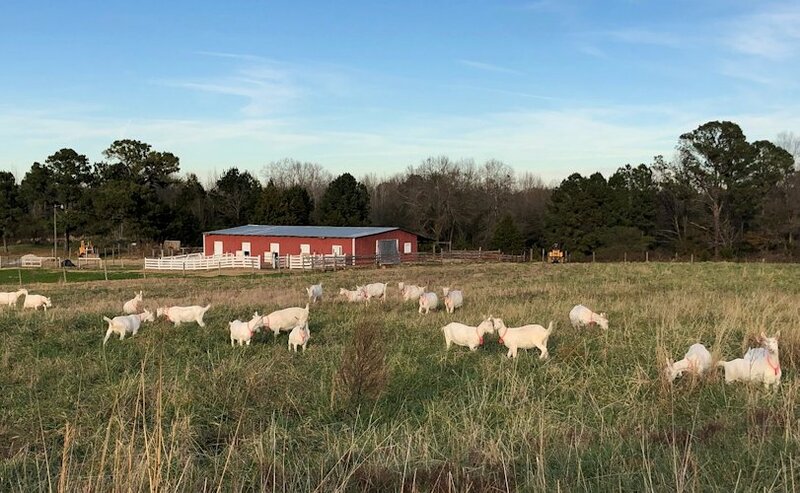 We keep goats for our pleasure, so we breed for easy temperaments that give us personalities that can get along easily within the herd as well as with the humans who care for them. We want them all to be pretty, so that we can show them if we want to. And most of all, we want our goats to be friendly, happy and healthy. All of these years later, we are pleased to report that our goats still go “kickadee down the hill”. We give our kids lots of attention, so you can expect a calm, well-socialized kid when ordering from Kickadee Hill. We strive to give our kids optimum care so that they can grow to reach their full potential. Our kids are wormed and treated for coccidia once a month until they are six months old. Kids are given Bo-Se and vaccinated with CDT. Kid deposits are honored in the order received. If you select a second choice kid, it is honored ahead of a subsequent order’s first choice. We require a $100 deposit to hold the kid of your choice. If we do not offer the kid for sale for any reason, your deposit will be refunded promptly or transferred to an alternate choice, whichever you prefer. The balance is due within 10 days of notification that your kid has been born. If it is not, you lose your deposit and the kid will be sold to the next person in line. We require pick up of your kid by 4 weeks old unless a later pickup is agreed upon in advance. There is a $5 per day boarding fee for any pick up past 4 weeks of age. Buyer is responsible for health certificates, vet fees, shipping charges, etc. If you would like more information on any of our animals, please contact us. We are always happy to pull up a chair and talk goats. Need More Info? Send us mail! Last Modified: JUne 27, 2017 Copyright © 2003-2017 by Kickadee Hill All images and graphics are the property of Kickadee Hill and may not be used without permission.